This is for a cross stitch pattern called Through The Trees from Blue Ribbon Designs. 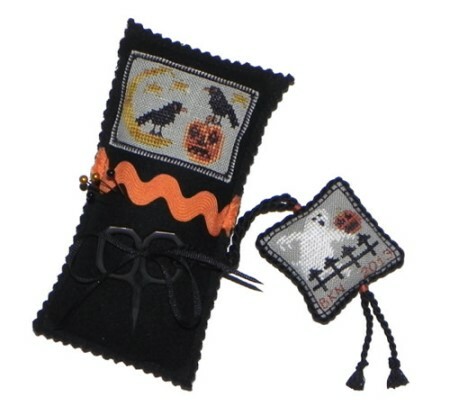 This contains patterns for a Halloween Sampler and Needlework Smalls. 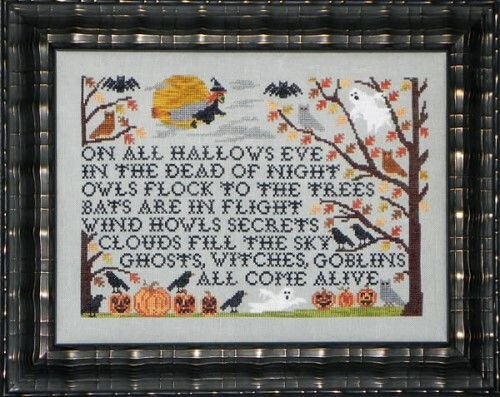 The verse reads, "On all the Hallow's Eve in the dead of night, owls flock to the trees, bats are in flight. Wind howls secrets, clouds fill the sky. Ghosts, witches, and goblins all come alive." 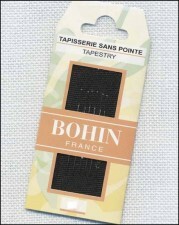 Main design Stitch Count: 178W x 122H.